We are incredibly thankful for the growth we have been experiencing over the last couple of years. 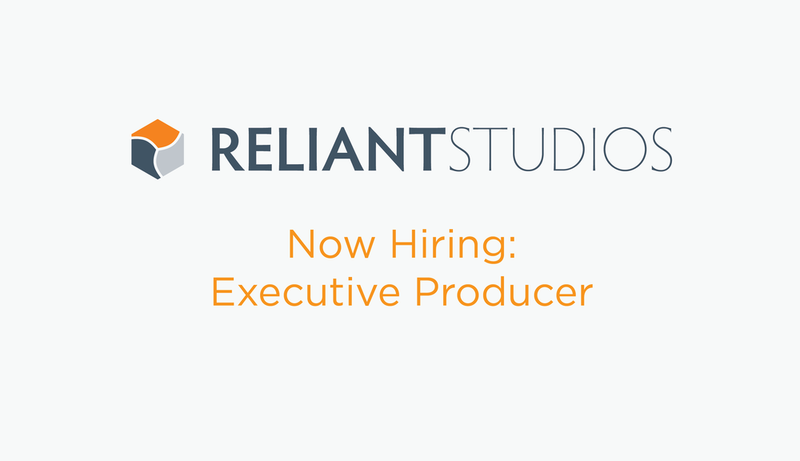 As our projects continue to expand in quantity and complexity, we are excited to fill a key position...the Executive Producer. The EP role is currently held by Kristin who is looking forward to focusing exclusively on her role as Reliant’s President as we continue to grow. We are seeking an Executive Producer with experience overseeing all phases of production for story-driven videos. This person will be a big picture thinker, relational and adept at working on multiple projects at once. We are looking for someone to bring clarity to the goals and objectives of a project, be skilled at high level client relationships and be a confident authority throughout the production process. This person must have experience managing teams and crew sizes of 10-20+ people and experience overseeing multiple project workflows at once. Note that with this being a leadership/management role, filming and editing are not part of the EP’s responsibilities. Note that we also have a Coordinating Producer on-staff that handles most of the logistics. Please send a resume and cover letter. Please include all the good stuff about why you think you’d be a good fit for our team and this role! Reliant is a production company located in Lincoln, Nebraska. Through the years we’ve evolved into a production company with a strong identity and name recognition across the country particularly in major nonprofit and higher education markets. We are known for our authentic storytelling - taking real people and shaping their stories through techniques designed to move an audience to action. We believe strongly in balance and in advocating for each other as much as we advocate for our clients. We believe passionately in the work we do - helping organizations advance their missions and change the world.